The bumper I had my eye on for a while just stopped being manufactured. Does anyone have one they'd sell me or know where I can get one like this? Not to high jack this thread but what would you ball park the cost of a bumper like this to be made for? Thats hysterical....whoa and I thought I was the master of booty fab. I feel like such an amateur. Its not even even...no way that can be real. 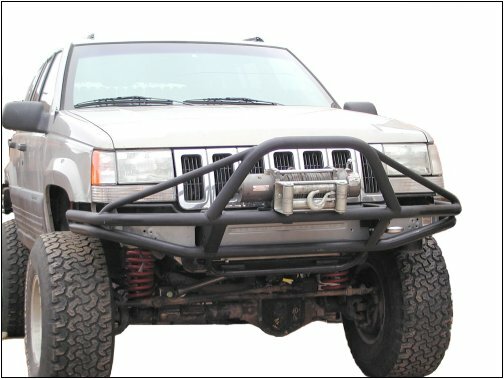 Was that a protofab4x4 bumper? I know they discontinued their jeep line. If you call them up, I bet they'd consider making it again. Correct. I emailed them, no response. I was going to call today but Dennis so generously offered to build one for me! The owner is Mike Wiley, he's pretty easy to work with. He might remember me (Jed from Torchmate) if you do get in touch. However if you've got Dennis making you one, even better!